In this series, I will be sharing methods proven to cause financial pain and agony. Use these methods if you want to live with piles of stress and harm your relationships. Part One Refuse to work with your spouse on money decisions. When your beloved hands you cash envelopes for impulsive spending categories like “spending money” and “entertainment”, spend it right away. Then go to the ATM and pull more money out without telling them. When they want to speak with you about your “unauthorized withdrawal,” tell them that it’s your money because you worked for it and that you will spend it “any ole way I want to.” If possible, say this with the highest level of sarcasm possible. Choosing to ignore your spouse when it comes to money is one of the surefire ways to destroy your finances. And most likely your marriage. Which could lead to divorce proceedings. And that will ensure any remaining money is spent. Of course, if you don’t want to destroy your finances, it would be ideal to work together with your spouse. It’s one of the top ways I began winning with money. 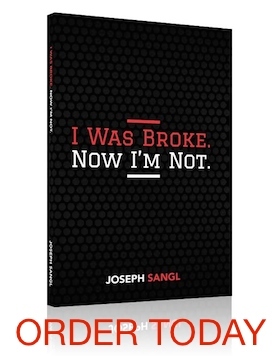 I share my story in my book, I Was Broke. Now I’m Not.